This simple Net Promoter Score survey will give you an accurate picture of how happy your customers are. 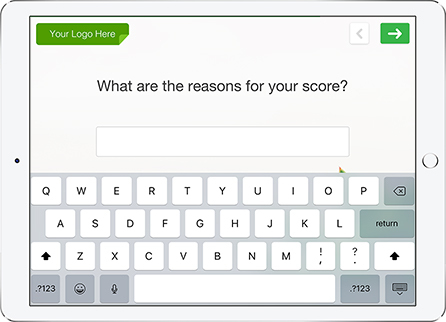 In addition to picking a score, an optional follow up question is asked to see why that score was picked. Looking for an NPS survey to gather feedback from customers at your salon or spa? Providing your customers with the opportunity to leave feedback is a critical step to ensuring your services are meeting your customers expectations. Collecting feedback on site allows management to act on any negative feedback immediately and increases the number of responses collected which improves the accuracy and quality of feedback. 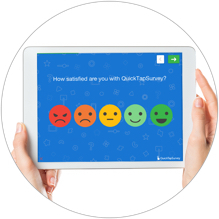 If you want to improve your customers experience look no further than QuickTapSurvey. 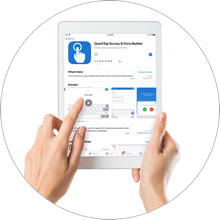 QuickTapSurvey makes building feedback surveys quick and easy. Data collection is fully mobile making it easy to collect in any salon or spa. 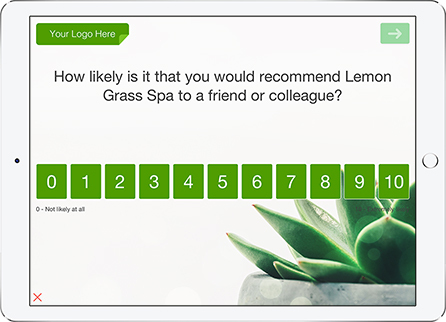 Creating your survey will be seamless with this premade salon & spa satisfaction template. 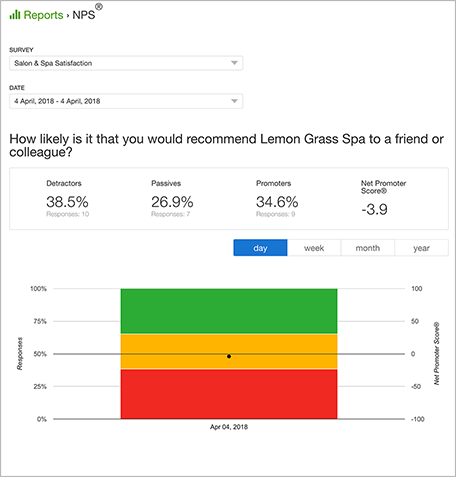 NPS or Net Promoter Score is used to measure customer loyalty. It divides your customers into three categories based on their responses. The actual calculation can be time consuming and tedious but using QuickTapSurvey and this template your NPS score will be calculated automatically. This is particularly useful because you can compare your score to others in the industry to see how you compare. Skip logic works by directing customers to specific questions based on their previous answers. Basically a customer who answers a question satisfied will see a different question compared to a customer who answers that is unsatisfied. This allows management to keep surveys short and gather as much detail as possible. Salons and spas are often a place for relaxation. 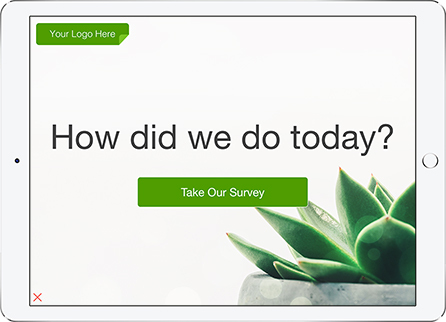 This survey template can be fully customized to reflect the atmosphere of the establishment. Everything from logo, background image, font, and buttons can be altered to reflect the salon or spa. 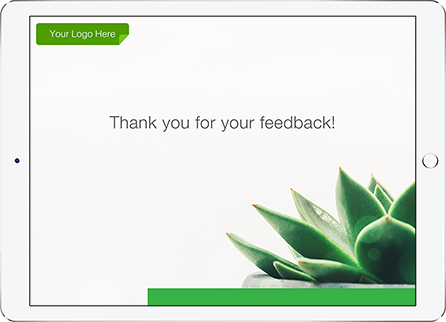 Create a new survey and select the Salon and Spa Satisfaction Survey from the template library. Make any changes to the questions or design and publish it. Once published you can start collecting data. Once you download the QuickTapSurvey App you can sync your satisfaction survey and begin collecting responses right away. Collect feedback from your customers either face to face or unattended with a kiosk. 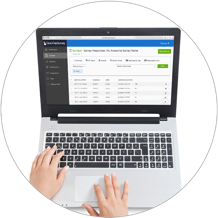 Using a variety of our built in reporting review the data you have collected. Take advantage of our analytics and reporting dashboard. QuickTapSurvey’s reporting and analysis features will help you build deeper more accurate insights. 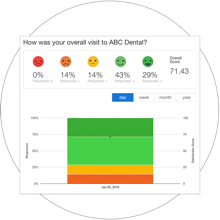 Our reports and dashboards make it easier to understand and benefit from your survey data. Check out the reports that are available.